LOS ANGELES, Calif.(Jan. 23, 2013) – GLORY, the world’s new premiere kickboxing league, will bring it’s ROAD TO GLORY USA fight series, intent on discovering America’s next great fighting superstars, to Hollywood Park Casino in Los Angeles with a stacked, one-night, eight-man middleweight (187 pou! nds) tournament on Saturday, Feb. 9. Tickets for the event, headlined by the ROAD TO GLORY USA single-elimination tournament, are priced from $40 and can be purchased by phone at 877-446-7962. The tournament is being held as part of a Dennis Warner-promoted WCK fight card also featuring five Muay Thai bouts. Enlisted for the eight-man tournament are red-hot prospect Eddie “Showtime” Walker (9-1-1, 7 KOs) of Atlanta, Ga ., hard-hitting Andrew Kapel (11-3, 10 KOs) of Minneapolis, Minn., seven-time South African kickboxing champion Van “The General” Wyk Povey (32-3-1, 22 KOs) of Dublin, Calif. via Pretoria, South Africa. ; California State Champion Edgar Del Fierro (18-4, 14 KOs) of Fresno, Calif.; former Karate and Sambo champion Evgeny Zotov (5-2, 3 KOs) of Knoxville, Tenn.; undefeated upstart Mike Lemaire (6-0) of San Diego, Calif.; Casey Green (5-5) of Santa Monica, Calif.; and Jonarth Junio (8-4, 1 KO) of Bellflower, Calif. The winner of the ROAD TO GLORY USA middleweight tournament will be awarded a grand prize of $20,000 and a one-year contract with GLORY where he will have the opportunity to compete in the world’s most prestigious one-nigh! 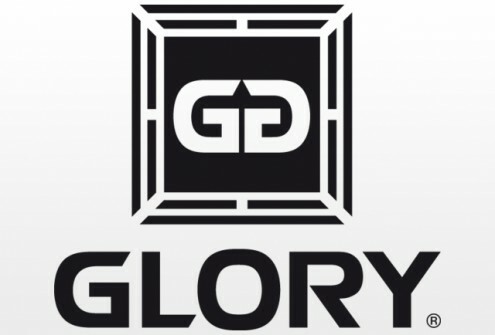 t GLORY kickboxing tournaments that award up to $600,000 in prize money. A tournament “alternate” bout on the card will pit Afram Egbochuku (2-0, 2 KOs) of San Diego against Jacob “King Cobra” Poss (9-1, 4 KOs) of Los Angeles. Should any of the tournament’s quarterfinal round fight winners be unable to return to the ring for semifinal round action due to injury sustained en route to victory, the winner of the matchup between Egbochuku and Poss will take the injured fighter’s place in the tournament. A draw to determine the ROAD TO GLORY USA middleweight tournament’s quarterfinal round matchups will take place on a date and at a location to be announced soon. Doors at the first floor showroom at Hollywood Park Casino will open for the event at 5 p.m. PST and the first preliminary bout begins at 6 p.m. 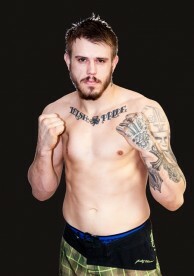 This entry was posted in Events, Features, News & Results and tagged 8 man tournament, Andrew Kapel, Eddie Showtime walker, Edgar Del Fierro, featured, Glory, Glory World Series, Mike Lemaire, Van “The General” Wyk Povey. Bookmark the permalink.